The Digital Youth Council was founded on the 22nd of May 2014. The Digital Youth Council is the first of its kind to launch in Europe. It has been established by 16 year old Tech Entrepreneur and founder of Kid Tech, Harry McCann, with the help of Ciaran Cannon, TD, and the Director of Galway Education Centre, Bernard Kirk. Comprising of some of the top young people in tech in Ireland, the Youth Council aims to give a voice to young people involved in technology in Ireland and provide them with a platform to influence the National Digital Strategy, and the future of technology in education. "The observation, identification, description, experimental investigation, and theoretical explanation of phenomena "
"The application of scientific knowledge for practical purposes, especially in industry"
"The branch of science and technology concerned with the design, building, and use of engines, machines, and structures"
"The study of the measurement, properties, and relationships of quantities and sets, using numbers and symbols." "The aim of the Digital Youth Council is to work alongside businesses and government to give young people a voice in STEM & to promote STEM to young people "
Stay up to date with the Digital Youth Council! 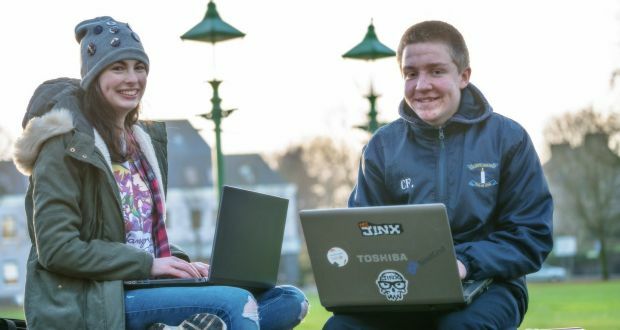 If you don’t understand how what you are using is built and what’s behind it, it’s the difference between technology controlling us and us controlling technology,” says 18-year-old Harry McCann from Clane in Co Kildare. You can also contact us by filling out our contact form on our Contact page.